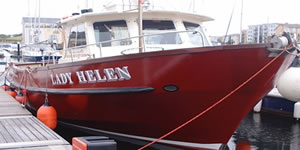 Lady Helen sails from Penarth Marina,all year round. 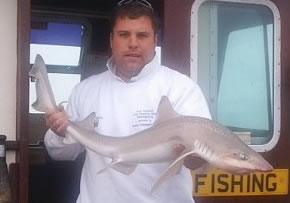 Fishing for the varied species found in the Bristol Channel. Summer Tope, Rays, Smothounds ,Conger..... Winter Cod from October. All welcome, individuals, parties, novice and disabled anglers.